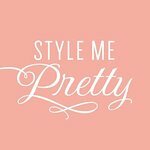 A style savvy wedding resource devoted to the modern bride's journey down the altar with gorgeous real weddings, vendor recommendations and much more! Bermuda weddings are full of heart, soul, a little bit of mystery and a whole lot of magic. When Dane and Barbara decided on a destination wedding in Bermuda, where he grew up vacationing with his family and where they love to visit as a couple, they knew they wanted to share this magic with their guests. Experience the magic for yourself with Jose Villa's gorgeous photos and stay tuned tomorrow for a rehearsal dinner you won't want to miss! Classic. It's a word that has so many meanings. Rooted in tradition. Built around etiquette. Ceremony. Simplicity. Having written about and been a part of the wedding industry for the better part of 15 years though, the word classic has assumed a far different, far more broad intention than ever before. We feature whimsical, personality infused "classic" weddings all the time with the true definition simply tucked into the culture and ceremony that the wedding is inspired by. You know what is knock-out gorgeous? Mixing Joshua Tree glamping with a super fun couple, hair and makeup by Page Beauty and photographer Mariel Hannah in tow. Together they made engagement session magic. Get inspired to add a playful twist to your e-session with these crazy cute photos. Plus, we've linked our must reads for all things engagement sessions below! Imagine the uber romantic Tuscan countryside, now plop those alfresco vibes in Malibu and you get this wildly romantic celebration crafted by Two Hearts Event Design. It's florals on top of florals by XO Bloom, paired with Malibu views and all the gorgeous imagery to back it up photographed by Jenny Quicksall. Catch it all right here, plus press play on the video captured by SJ Videography.